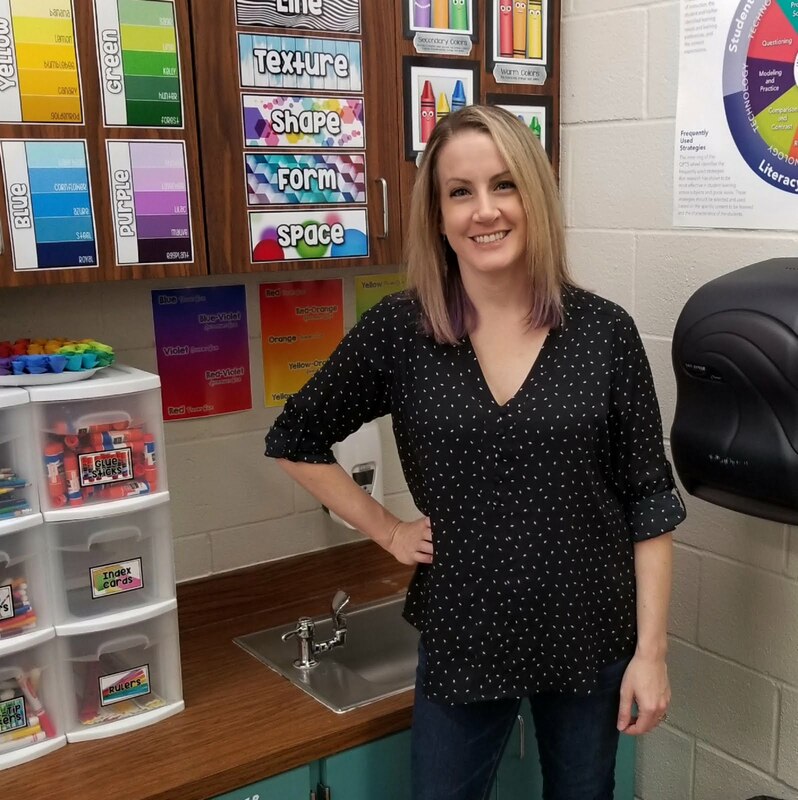 Before I begin I just want to say thank you so much to @adventures_in_teaching_art for the project idea. I was flipping through Instagram the other day and saw it and fell in love! This is my take on the weaving project. 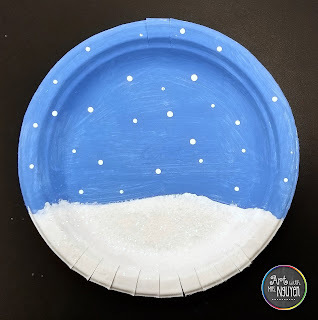 First have your students paint a background onto their chinet plate. You could have them keep it simple or use this as an opportunity to talk about foreground, middle-ground, background and atmospheric perspective! Once their plates are dry, have them make a series of cuts into their plates. Two at the top (about 3/4" apart) and 10 at the bottom (about the same distance apart). 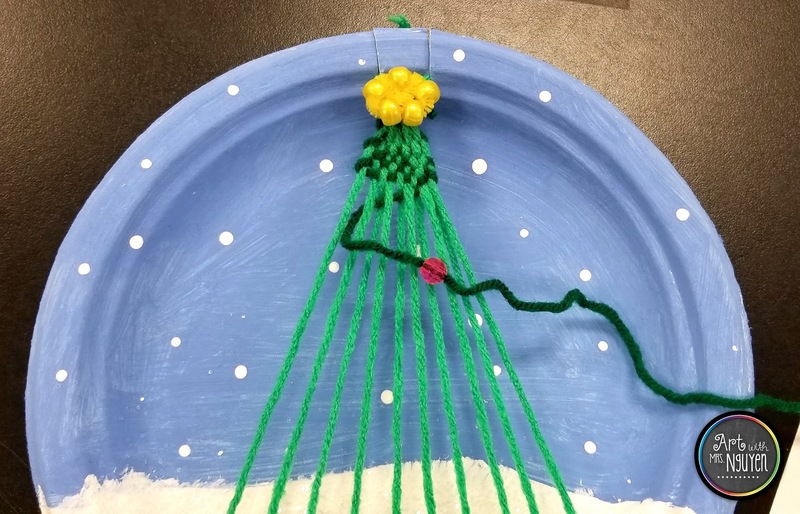 Give students a long piece of yarn for their warp strings - these are the vertical strings that are connected to the loom (the paper plate). If you are using 8.85" plates, you will need to give each student roughly 12.5 ft (or 150"). The color that they use for this should be different than the color that they are going to use for the tree (for clarity). 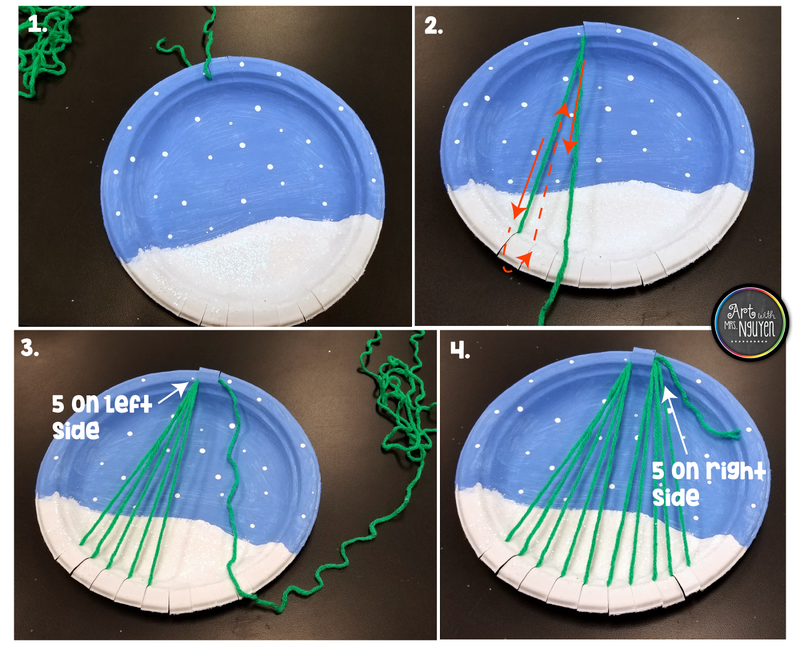 Students will tuck one end of their string through the top left cut on their plate (short end on the back), and then they will begin wrapping their string around their plate. Students will use the top left cut to the 5 bottom cuts on the left and then switch to the top right cut to hold the 5 bottom cuts on the right. Once all their warp strings are strung, students will take the remaining bit of string and wrap it around all 10 strings at the top, then tie a double knot to keep them all together. 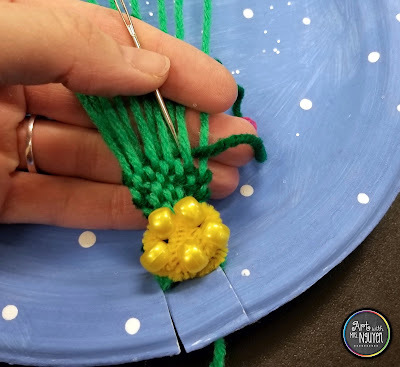 Any remaining string should be pulled onto the backside and tied to the other end of the string (still dangling on the back of the plate from the first warp string). On my plate the next thing that I added was the pipe cleaner star at the top of my tree. In retrospect though, this probably should've waited until the very end. 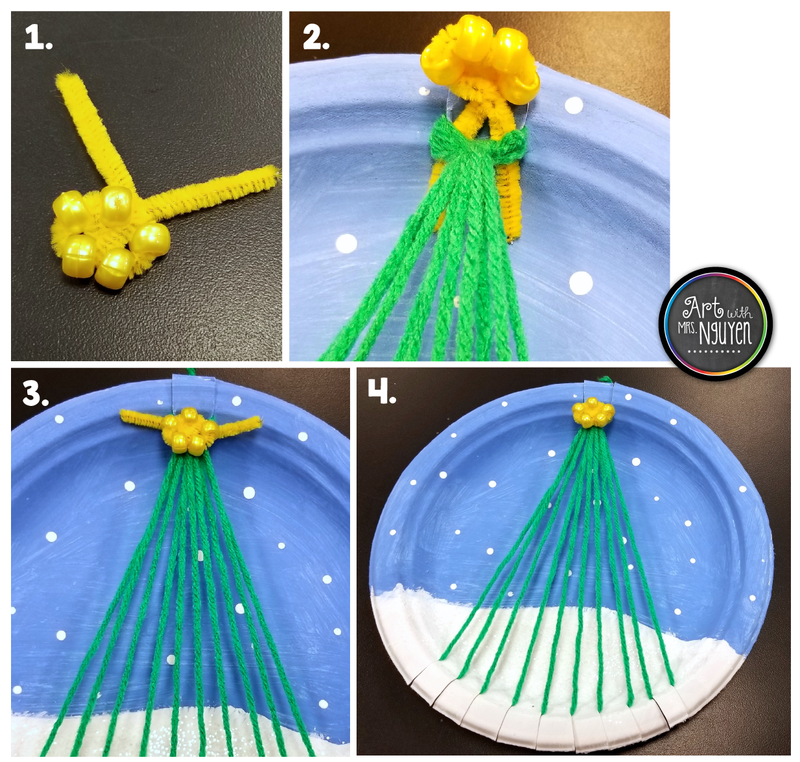 To create it, I took a short yellow pipe cleaner and put 5 beads on the middle of it. Then I twisted the pipe cleaner around so that the beads looked like the points on a star. Using the two ends sticking out, I tucked the pipe cleaner underneath the top of the warp strings, then twisted it around to attach it. Once your students are finished with their warp strings, give them a long piece of dark green yarn (for the weft strings). They will tie one end of the string to the top of the warp strings. You can tie a plastic yarn needle to the other end of the string if you'd like for easier weaving. They will then begin weaving the weft string over and under the warp strings, making sure to keep them in the correct order. *Tell them not pull their weft string too tight. Once they get to the last warp string they'll loop back around and start weaving in the opposite direction. As they weave, be sure to remind students to push their weft strings up every once in a while. If they're using a yarn needle, they can easily just use that to help push them up. 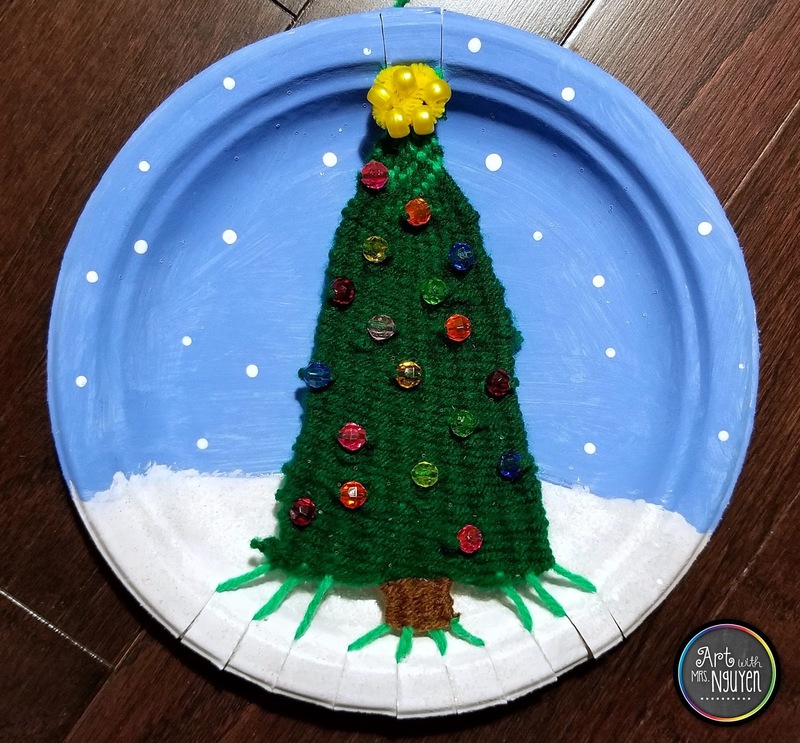 If they want to add "ornaments" to their tree, they just need to periodically add some beads onto their weft string. Once they've finished weaving the dark green weft string, students will tie the end of it to one of the warp strings towards the bottom. 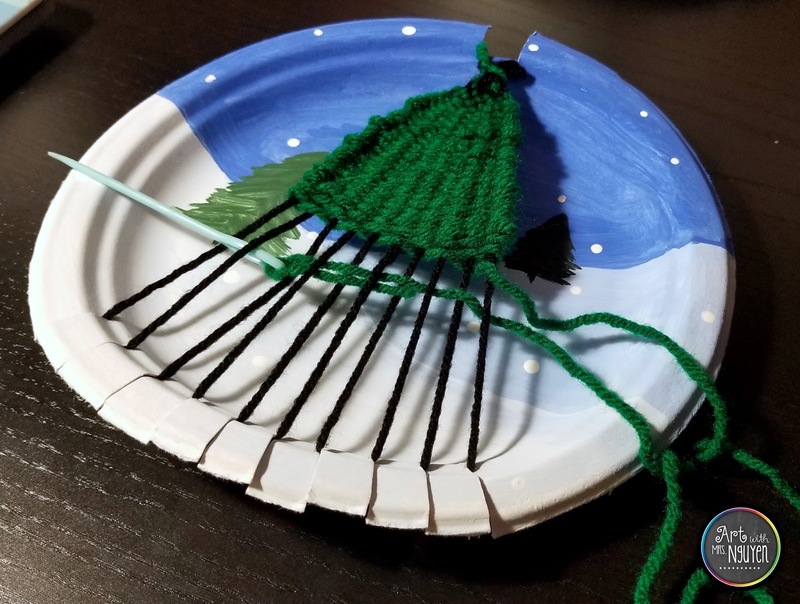 To add the tree stump, students will need to take a brown piece of yarn and tie one end of it to the 4th warp string over (from either the left or right). They will be using the middle 4 warp strings to weave the stump. If you want to go more seasonal and less Christmasy with this project, have students do it without the star and ornaments. Looks great! About how long would you say it took to complete this? Simply beautiful and sweet project! Really interested in doing this project in a few months. 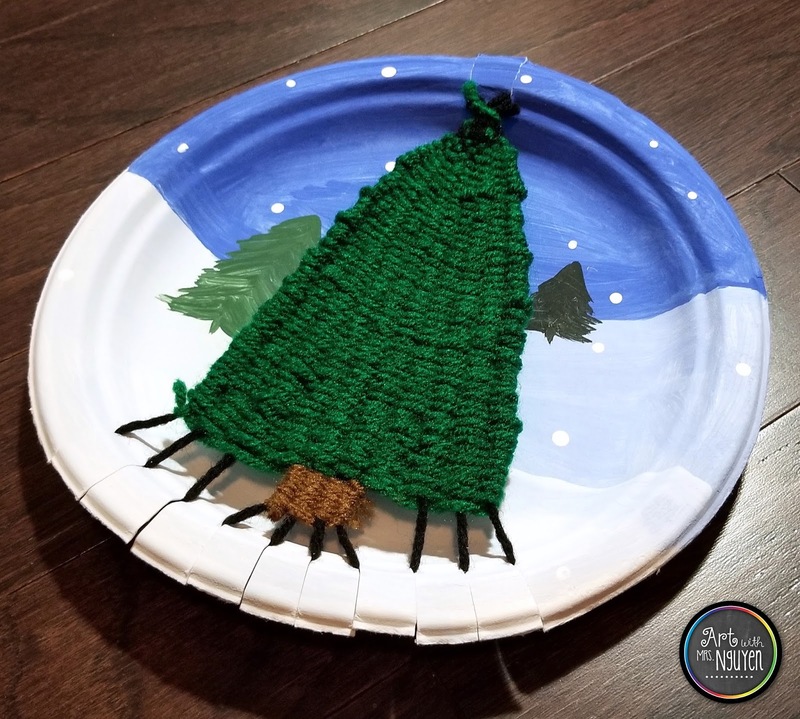 Wondering how much of the dark green yarn to plan for on the tree part per student? thank you!